So I was cruising around the internet when a photo caught my eye. It's a cat, but the strangest cat ever. I just had to show you. 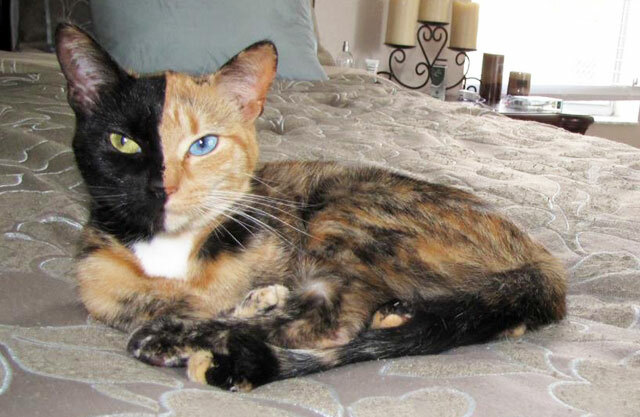 This is "Venus", the cat with two faces! 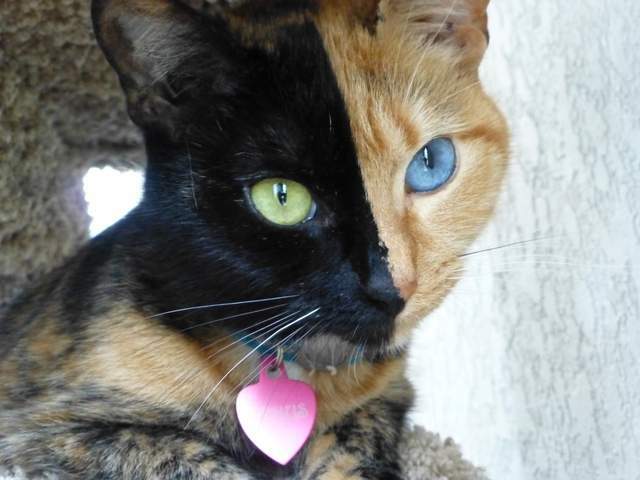 But Venus is special because she has both; different color blocks on her face AND different colored eyes. Pretty amazing. And now Venus is famous... and showing God's glory in the stunning creature he made! 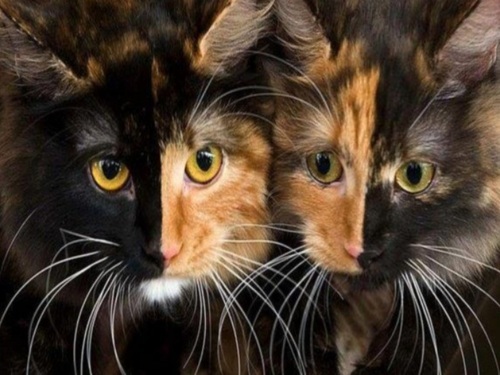 Great research on cats.You know i did not know all these things about cats.I like cats but few of them are quite scary in looks.Cat is a beautiful animal.I liked your post.